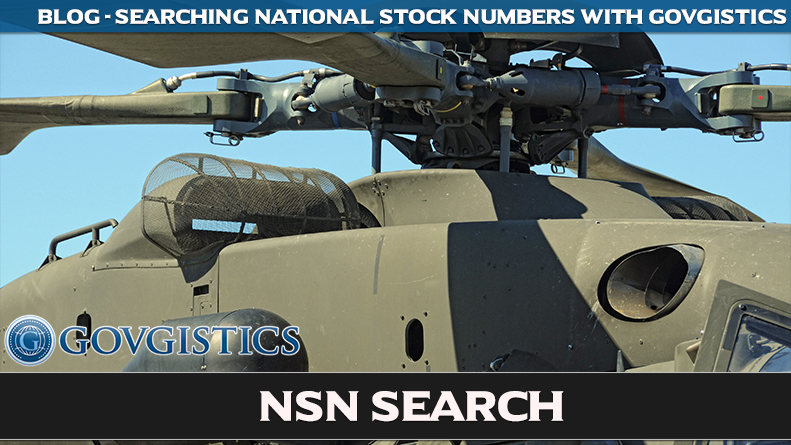 In Govgistics, the NSN search is defined as the National Stock Number. NSN is a 13-digit code that identifies the standardized material items of supply that are recognized by all NATO countries including the DOD (Department of Defense). The NSN has come to be widely used by all treaty countries and are essential to the military’s logistics supply chain. What does the NSN do? The NSN is used to identify and manage every item from aircraft parts to even light bulbs. The use of NSN facilitates the similarity of names of items, supply language and management data. This helps to reduce multiple duplicated items in federal inventory. When the NSN is assigned to a supply item, data is then put together to describe the item. In order to do this, data elements include information such as the part number, price and physical characteristics of the item. The NSN also helps to break down the military requirements for testing and evaluating of potential supply items. Why was the NSN Created? The NSN was created to simplify the search of parts involved in government contracting. During WWII, it was common to find different names used for a single item of supply in each military service. This made it difficult for the services to locate supplies. It also made it impossible to share supply items. As a result, there was an item depletion issue for one service while there was an item surplus with another. This was all due to different naming occurrences. How can the NSN Search help my company? The most significant benefit of the NSN search is that it offers life cycle management of supply items. Govgistics offers a public search engine on our site where members can search for any NSN information. Our market research tool helps contractors by improving the quality of the research they run daily on NSN. This includes a complete DOD procurement history dating back to the 1950s which is available to members. By registering as a member on Govgistics, you and your business will have access to easy to locate data and allow you to characterize the differences and similarities between products and suppliers. Please register for a free trial! For more information, visit our website at www.govgistics.com.